I drew this yesterday using my stabilo point 88 pen. This morning I scanned it, and used Photoshop to fix it up a bit and color it in. I'm a complete novice with Photoshop, but it's fun to play around with! 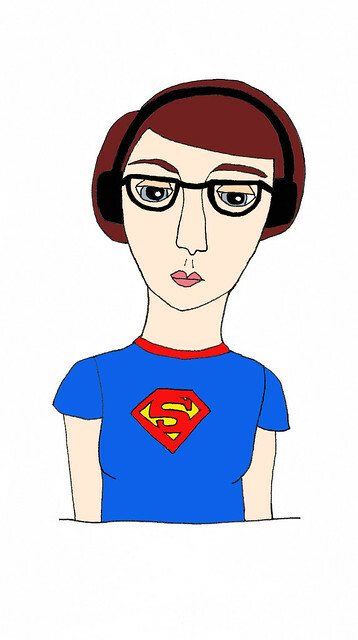 Hope you like this cool nerd chick!